Ace Wasabi - San Francisco. Diners Choice 2017 Award Winner. Voted The Best Sushi In The Marina. 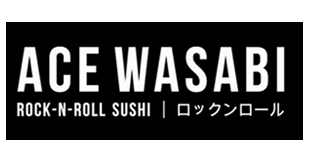 For over 21 years, Ace Wasabi has been the Marina's go-to for delicious modern Japanese cuisine. We embrace fun, fresh sushi and good times! Our Sushi Chefs hand-cut every piece with loving care and meticulous attention to detail. We pride ourselves in always serving the freshest fish available, buying from local markets, as well fish flown in from around the world. Reservations Available For Parties Of 5 Or More. If you have a party of 3 or less, you may join our waitlist remotely after 5:30pm. We serve fresh seasonal fish flown in from around the world, including the famed Tsukiji fish market. With thanks to all of our loyal customers and new friends. Ace Wasabi enjoys a near 5 star plus Yelp review average. Our sushi chefs, considered the best in the business, deliver amazing, fresh, innovative dishes nightly. Which Date Do You Have In Mind? Thanks for entertaining your clients at Ace! No problem, we will regenerate your receipt and send it to you via email. When Should We Expect Your Party? Any Special Requests, Event Details? So you had a good time! Worry not, we secure all cards left behind when closing. Please drop by and ask our manager at the bar area to retrieve your card for you. Please Note: We do not automatically charge tips on open credit cards. We pride ourselves in providing the best possible service at all times. If we fell short, please let us know and we will make amends. We're sorry to hear that. Please share as much detail as possible about your lost item and we will check our lost & found. We promise to reply whether we find it or not. Or, you are welcome to come by & we can look together! Our food is our passion. If any dish did not meet with your satisfaction. Please let us know and we will make amends with our thanks for letting us know. Sometimes we get extremely busy and our staff can get overwhelmed on occasion. But that is no excuse for anything but the highest level of service, courtesy & respect. Also available for purchase from any Ace Wasabi server.